I recently was given the opportunity to try out Duracell's new Quantum alkaline batteries. One thing that my family does through a lot of is batteries. With our carbon monoxide detectors, cameras, wii remotes, TV remote and lots of the kids toys taking batteries we really need ones that will last. That is why I was excited to try out Duracell's newest long lasting batteries. 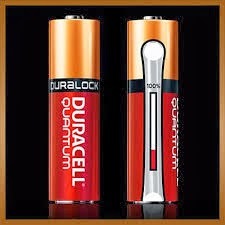 When I heard about Duracell Quantum, I really wanted to try them out. 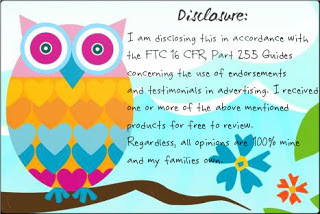 They say that they are longer lasting than any other alkaline battery and with us always going through batteries I wanted to see for myself. Duracell Quantum, with its Hi-Density Core™ that stores more power than ever before, is the single solution for all household needs from remote controls to kid's toys. Duracell Quantum features PowerCheck on the battery cell so you will always know how much power is left in the battery - so nothing is wasted! I currently have these batteries in our wii remotes and my camera because they seem to go through batteries the fastest in our home. My favorite feature of these batteries has to be the PowerCheck. I love that you are able to see how much of a charge the battery still has left so no guessing if its about to give out or not. Also my being able to check the batteries life you don't have to worry about throwing a good battery out on accident so no more throwing of your money away. Duracell was gracious enough to donate 1 million of these powerful batteries to first responders across the country to help protect our families. One of my lucky readers will win a 20 pack of AA Duracell Quantum batteries. ~Make sure you have tissues at hand while watching the video. You will get teary eyed! That video gave me goosebumps and brought tears to my eyes! What a spectacular video! Such a Touching Story! It is a beautiful thing when a baby's life can be saved... Fire Rescue teams are True Angels! And I love the fact that one of my favorite Country artists was part of this program. Oooooooh MY GOSH!! I'm totally crying... and I have to run Gracie out to the bus stop. They're going to think I'm a nut lol. What a touching story. It' totally got me watching the guy coming down the ladder breathing, and breathing and breathing for her. OMGosh. What a touching story to see how these heroes saved that baby. They are so courageous to do the job wjere they put their lives on the line to save others. Loved seeing Tim also. What an awesome feeling the first responders had and then the feelings the little girl and family had for them. I wish I was there to share in their hugs. I wish I could have been there to share in the hugs for the first respoders and the young girl and family. Excellent video. Beautiful video! Got me all teary eyed! Thanks! What awesome display of unselfishness and I loved every moment of that video. I went on to watch more all though the some of the comments on the site were well horrible! Thank you for the giveaway! How scary! Love all the heroes! So thankful there are those who help others in the most scary times. How heartwarming! I loved that they were able to meet her 11 years later and were able to see how she's turned out! I was tearing up! I am just so happy the baby survived. The video was amazing. The firefighters and first responders have such a tough and rewarding job. Inspirational video! What a gratifying moment for the rescuers to see the child at 11 years old. wow... so brave and caring. They are everyday heroes! Very touching! I appriciate civil servants who risk their lives daily for strangers. Thank you! Wow....what a great reminder to never take our first responders for granted. Beautiful video! So thankful for all they do! The term "Soul Marker"... I like that. Very moving. Really wanted to cheer with the paramedic when she describes the baby giving out a wail! It is great that Duracell is giving out these batteries to first responders. Amazing video. These heroes put their life on the line every day for us. They deserve these batteries.